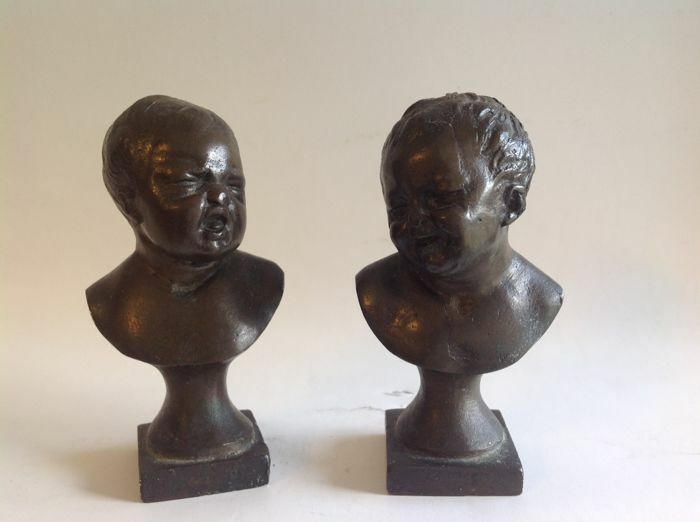 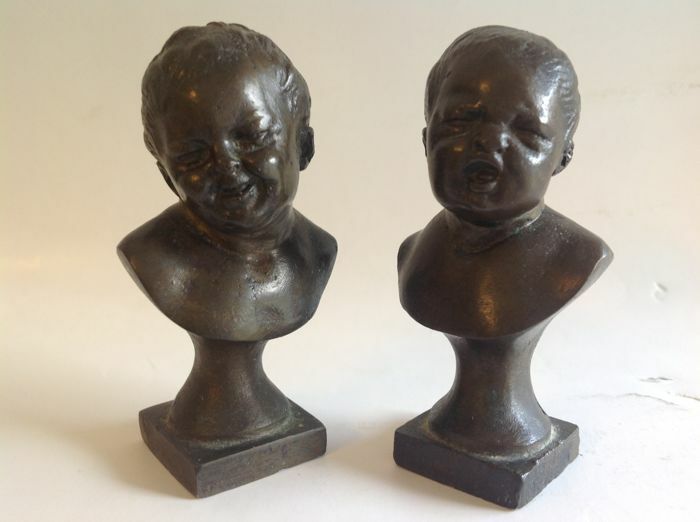 Two beautiful heads of the French 19th century sculptor De Braux. 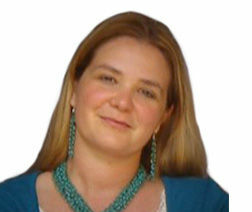 It is a well known version of a crying and smiling children’s head or Jantje laughs, Jantje cries. 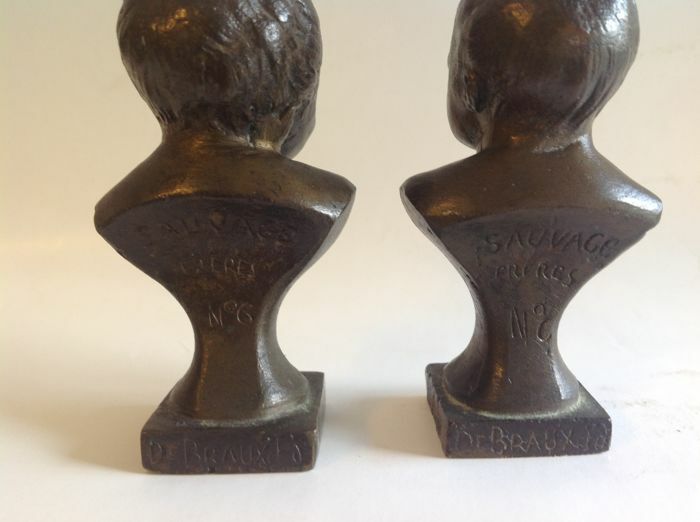 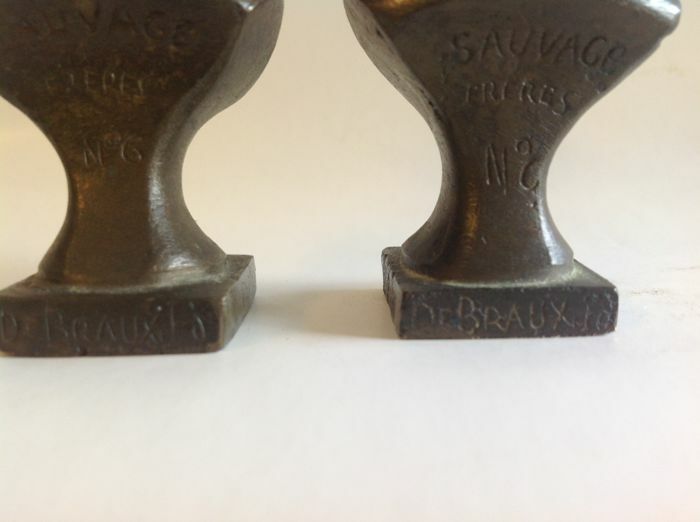 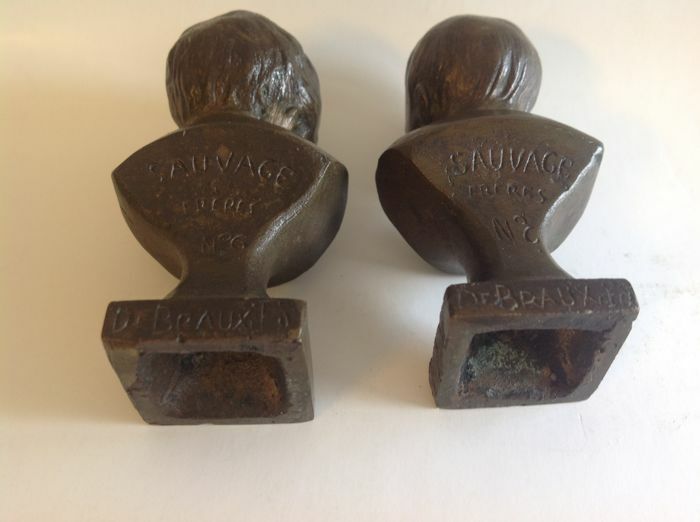 The figurines have a foundry name of Sauvage Frères and are numbered 6-7. 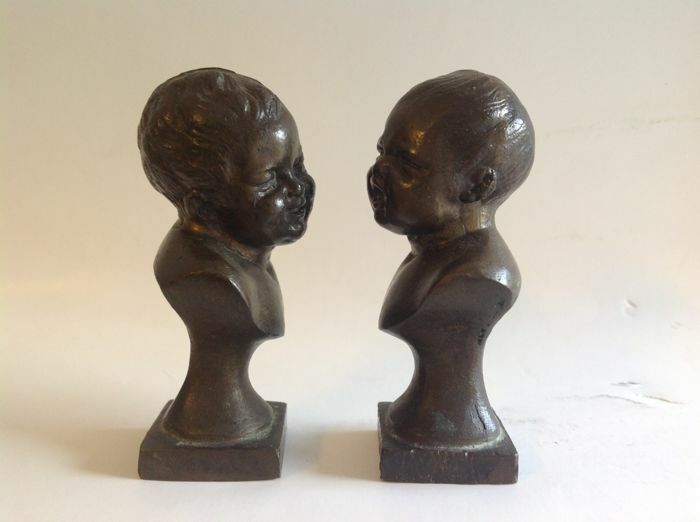 The height is 6.5 cm and the figurines are in beautiful condition. 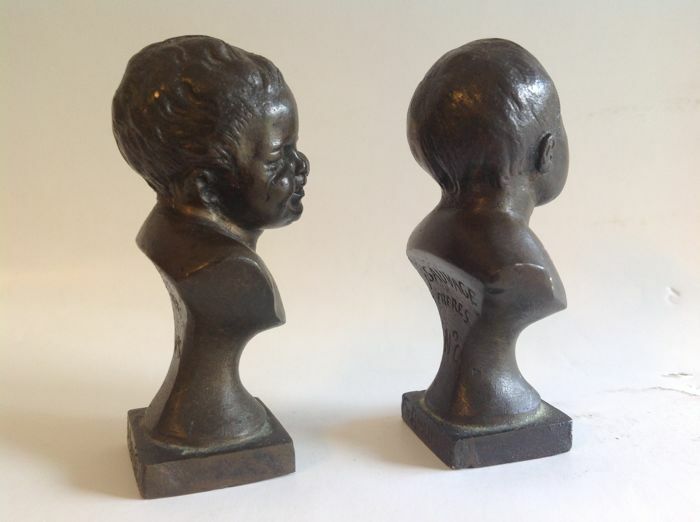 The sculptures will be shipped by registered mail. 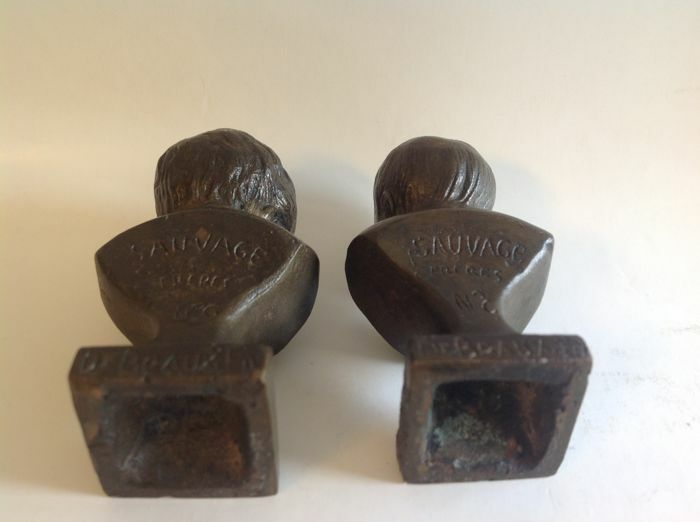 You can pick up this lot from the seller: Oud-Beijerland (ZH), Netherlands.